Disney’s Beach Club Resort is a New England-style Disney Deluxe Resort, shaded by broad oak trees and lapped by the gentle waters of 25-acre Crescent Lake. Our 576 Guest rooms are decked in accoutrements befitting a surf-and-sand sanctuary, some with panoramic views of the Resort grounds, gardens, lagoons or the lake. Relax on charming white wicker furniture and enjoy a whimsical salmon and light green color palette that recalls the humble comfort of a bygone era, brought to life again at Disney’s Beach Club Resort. Watch chefs prepare succulent steaks, seafood, chicken and lamb dishes in the open kitchen of Yachtsman Steakhouse. Discover the Ship Shape Health Club, open 24 hours a day and offering saunas, steam rooms and massage therapy. Stretch out on the white-sand beach, or soak in 3 quiet crystal pools and 7 spas scattered across the Resort grounds on your divine seaside holiday. This resort is located 11 miles from the West Building of the Orange County Convention Center. Hotels may be secured during the registration process. NADA and ATD Convention and Expo registrants only. Click here to register today. 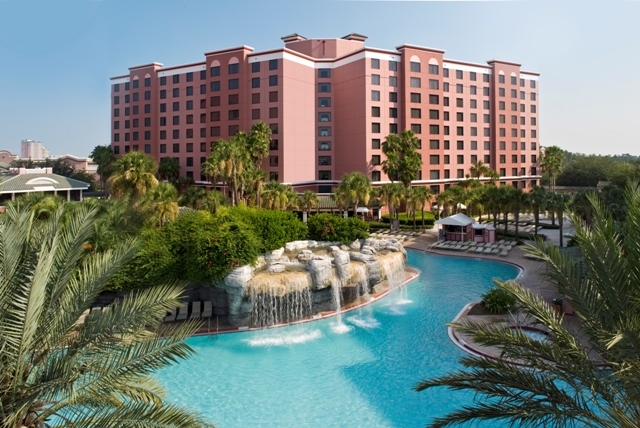 At the Caribe Royale All-Suite Hotel and Convention Center, business and pleasure go hand in hand. From the very beginning, we’ve redefined and elevated the standards of the meeting, conference and family vacation experience in Florida. Here among our more than 53 lush, tropical acres, guests will discover 1,218 spacious, well-appointed one-bedroom suites, 120 luxurious two-bedroom lakeside villas, expansive state-of-the-art meeting and event facilities, unmatched hospitality and service, and a wealth of desirable dining options and hotel amenities that will appeal to both families and business professionals alike. And it all can be found just minutes from the area’s world famous theme parks and attractions. Special requests for king beds, adjoining rooms, non-smoking, etc. will be forwarded to hotels with your reservation, though neither NADA nor Experient can guarantee they will be honored. Sales tax on rooms is currently 12.5%. Important Hotel Information: Attendees: You must register for the event before you can make a hotel reservation. Each attendee may make (1) one hotel reservation using their unique registration ID number. Click here to register and secure your hotel for the 2013 NADA and ATD Convention & Expo! The NADA Convention & Expo and ATD at NADA wants you to Join the Momentum, February 8-11, 2013 in Orlando, Florida. 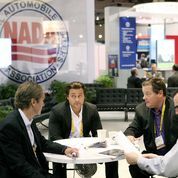 Last year, we saw an increase in attendance and more energy at the NADA convention and at ATD at NADA than we’ve seen in the past few years, and we expect the 2013 NADA Convention & Expo and ATD at NADA, to bring even more dealers, managers and exhibitors as we continue to build momentum. Attendee Registration & Housing will open on July 23. We encourage you to register and secure housing early as hotels will book up fast! 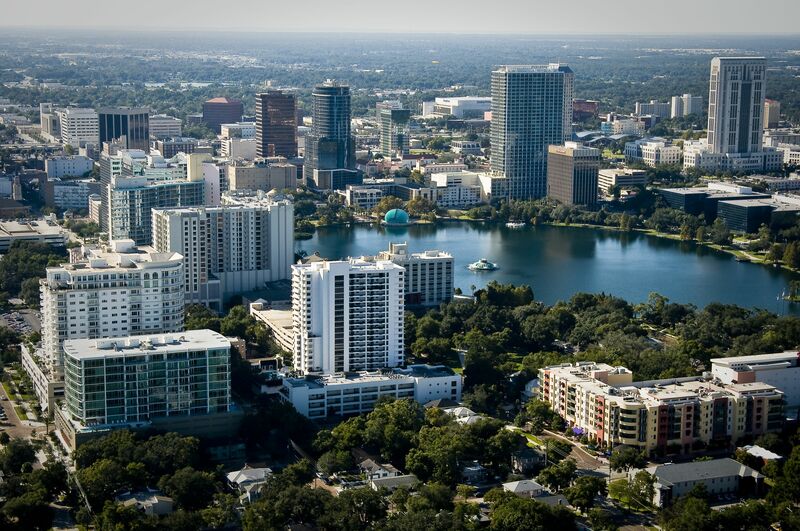 NADA and ATD have negotiated the best hotel rates in Orlando and we want to make sure you get the best price. Exhibitor Booth Applications will be available on July 23.